Whenever I dip in to thinking about getting an e-reader, I get stuck on the problem of how to share a book that way. Besides just being a book person and liking to have books around (evidenced by my need for yet more bookshelves), I like to share books. Lending books out and/or borrowing books in return is one of the best ways to find new things to read, and I'm not sure how that would work without physical books. Case in point: two weeks ago a package arrived for me from a friend in Montreal. He had read and loved Nicolas Dickner's Nikolski and thought I would enjoy it too. Inside the front cover he had included the address for the next person who wanted to read it, like an old-fashioned chain letter, but with a book. Of all books to do this with, Nikolski is the may be the perfect one. 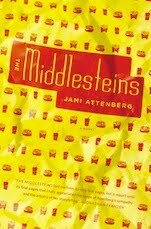 The novel tells the story of three young people, all about 18 when the story begins in 18 in 1989, who all move from their disparate birthplaces to Montreal. They are all related, but have never met and have no idea. Their stories all intertwine though, not in the 'they all become friends at the end' sort of way (that isn't meant as a spoiler), but more so in the kinds of lives they lead and also in the way that, if you live in more or less the same neighbourhood as someone for long enough, your lives will intersect, even if you don't realize it. The narrator, who is unnamed, is the only child of a single mother. His father was only briefly in her life and kind of a vagabond, although that might not be fair. He was a sailor and, on land, he lacked a base so he traveled around. He ended up in the village of Nikolski, up north on an island in the Aleutians. At the beginning of the story, the narrator's mother has just died, and he is cleaning out her house so he can sell it. He works at a used bookstore in the city, a job he keeps for the rest of the novel. We really don't know much about him. He only talks about himself a few times, being far more interested in Joyce and Noah, the main characters. Joyce Doucet is from the tiny, remote village of Tête-à-la-Baleine on the St. Lawrence. It is a settlement only accessible by boat and therefore populated mostly by fishermen, which is her father's occupation. Her mother is dead (or maybe not) and Joyce spends her childhood listening to her maternal grandfather tell stories about the family's pirate history, which began with Acadian relatives in Nova Scotia and, with the expulsion, spread all over the East Coast of North America, a trait that became ingrained in the family, who couldn't stay in one place for long. Joyce is fascinated and vows to become a female pirate – the first in her family, maybe. After seeing a newspaper clipping about a Leslie Lynn Doucette who was caught for piracy (over the newly available Internet), Joyce decides her destiny is calling and runs away to Montreal. She gets a job at a poissonerie and starts dumpster diving for computer parts, which she uses to build her own little pirate empire. Noah was born somewhere in the prairies. His mother is a nomad of sorts, so he grew up living in a trailer and moving from town to town in a more-or-less predictable way, crisscrossing the prairies. His father, a sailor, was almost dead on land because of land sickness before being picked up by Noah's mother, whos' car rocked just enough to help him find his land legs. They parted ways after she became pregnant, so Noah never knew him. Noah, ready to settle down, moves to Montreal to study archaeology at university. He is probably the most present character in the novel, and between taking part in a dig on Stevenson Island and moving to Venezuela for a while, it's fair to say he's the least rooted to the city, although he does return there. 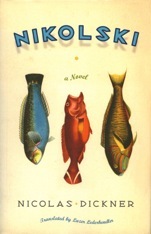 Although the characters do all eventually meet, Nikolski isn't a novel about tying up three distinct story lines with a convenient ending. Instead, it's about the way the characters stay distinct and, while all following their own paths, manage to miss out on each other. Dickner is a very observant and funny writer, and although Noah gets the most face-time in the novel, each character feels like they're at the centre of it. And, of course, it's just fun to see a familiar city depicted with such intricacy, although Dickner is almost casual about it – he doesn't explain it to the reader, it just is, which is nice. Nikolski won Canada Reads two years ago and can definitely see why. It ties together aspects of Canada's history, from First Nations issues to the Acadian expulsion to the Oka Crisis, as the background of the characters' lives. It's a refreshingly Canadian story in that way, and the narrator, Joyce and Noah all feel like people you could bump into on the street by the time the novel is finished. And it will make you wonder about the chance encounters you've had over the years – how many people have you managed to miss who might hold a key to part of your own life story? If Nikolski is any indication, it probably happens more often than you think. This is a very good review and makes me into it. Sadly I have an essay due soon and I'm really having trouble comprehending the novel. If anyone that is familiar with the novel can help please let me know. Just leave a comment and il give you my email, il check for comments every day. Jo Nesbo: The next Stieg Larsson?